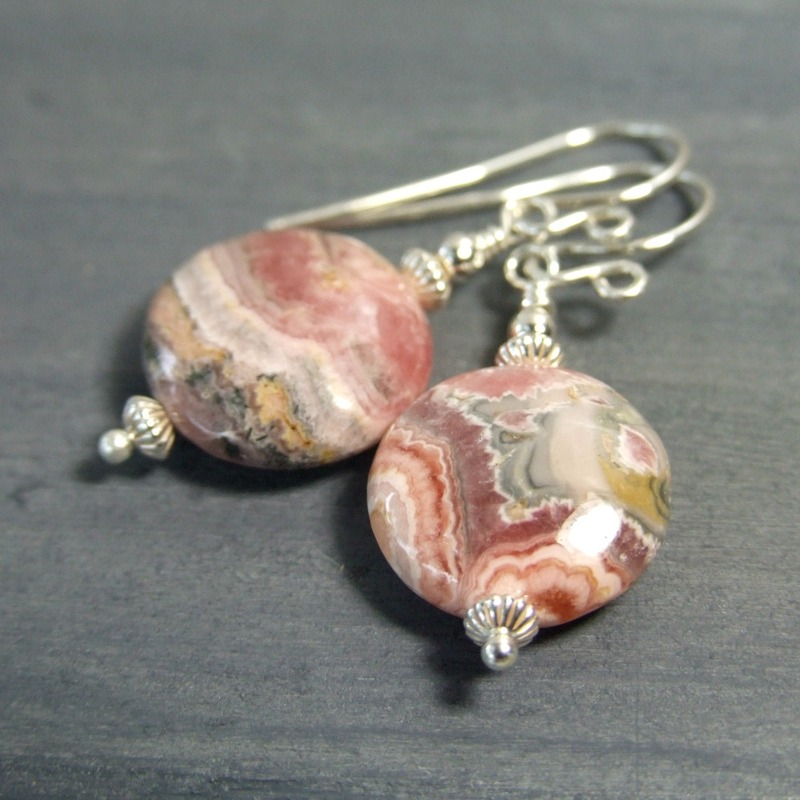 Rhodochrosite, a gorgeous gem know for is stunning pink color. It is normally found in cave stalactites and stalagmites. I found these beads locally and fell instantly in love with their beauty. 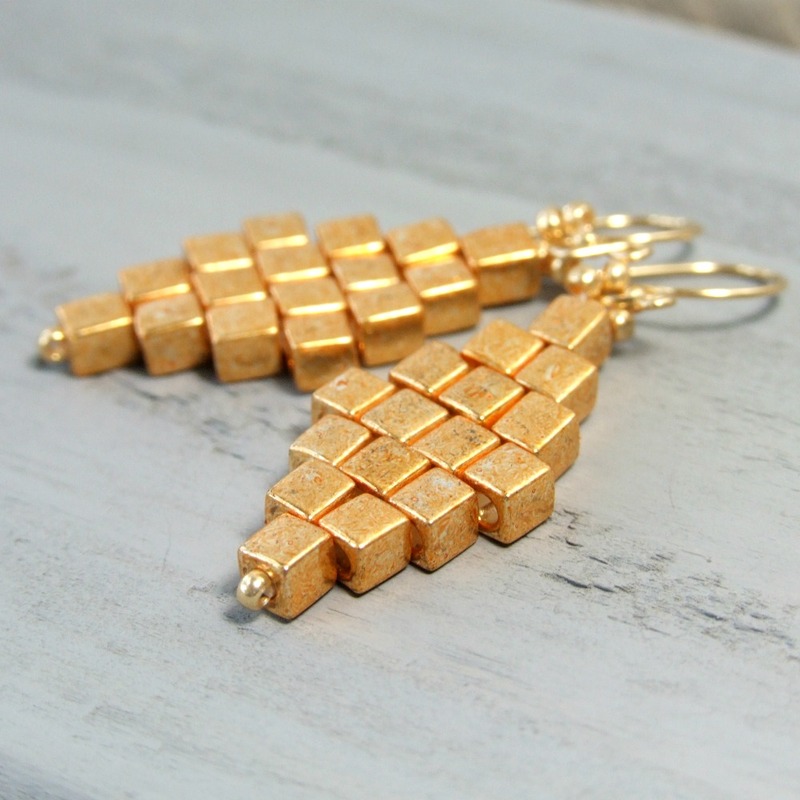 I love making brick-stitched diamond shaped earrings and have always used Delica seed beads. Then I thought, why not go larger? I made these using 4mm cube glass beads with glass seed beads at the base as well as a loop at the top for the handcrafted 14k gold-filled ear wires.